The holiday season is fast approaching, so we decided to take a look at the Best Massage Chair of 2014. 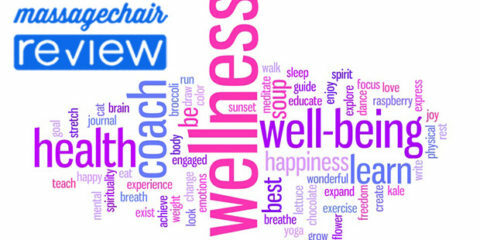 We understand that shopping for a massage chair is often a daunting task, and it gets more difficult every year. New brands enter the market, new features are added, and new models are released making it very difficult to narrow down your choices. 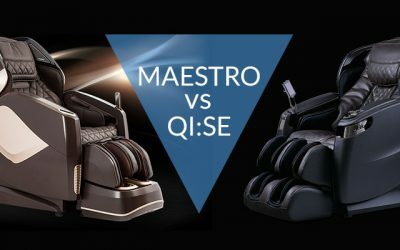 That is why we at Massage-Chair-Review.com put together this list to help you understand the different choices you have when buying a new massage chair. 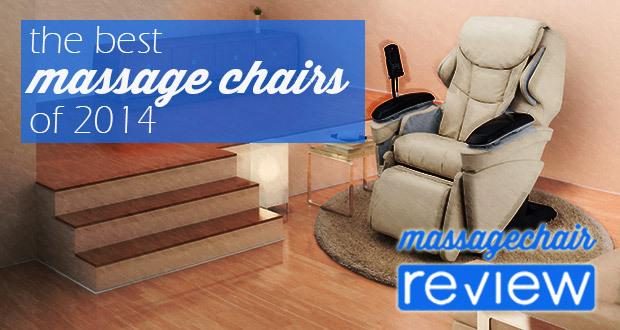 Below we take a look at some of best selling massage chairs of 2014. We have simplified our list and divided it into 3 different sections: Best Massage Chair for the Budget, Best Mid-Price Massage Chair, and Overall Best Massage Chair of 2014. 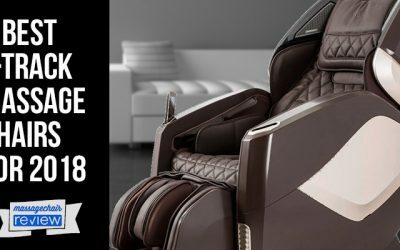 Make sure to check out the Best Massage Chair of 2013, The Best Massage Chair under $2000 with Zero Gravity, and the Best Massage Chair under $3000 with Zero Gravity. Shopping on a budget? 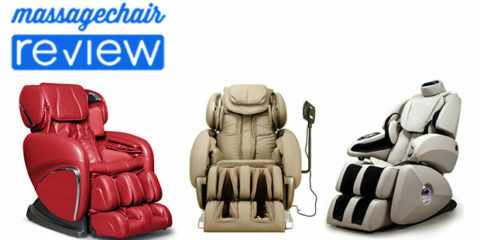 Here is our list of best massage chairs on a budget for 2014. All of these models are sold from reputable brands, have a lot of features for the price, have a good standard warranty, and are of course a great bang for the buck! The first massage chair to make our list this year is the Osaki OS-4000T, and for good reason, it has been one of the best selling massage chair models this year overall. This is no surprise since the Osaki OS-4000T is an upgrade to the popular OS-4000 model. It is the same great chair, but with mechanical foot rollers, and a higher quality synthetic leather. This Osaki OS-4000T is one of the best massage chairs for the price, and is perfect for that individual looking for a massage chair that has all the features that make a full body massage chair great, and at a price that doesn’t break the bank. 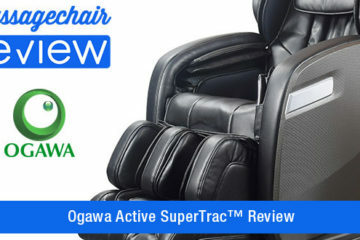 Make sure to check out our full review of the Osaki OS-4000T massage chair. The Cozzia 16028 massage chair is probably one of the best massage chairs for under $2000. 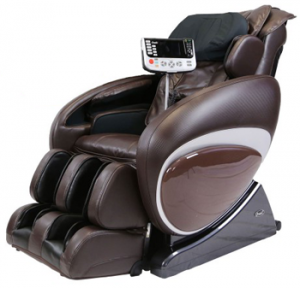 It is a very popular massage chair because of the combination of features you get for the price. It has zero gravity, heat, and has the ability to massage you from your head to your toes. The only other feature that you may want that it doesn’t have is arm and shoulder massage, but if that’s not a biggie, then the Cozzia 16028 may be the perfect massage chair for you. Make sure to check out our full review of the Cozzia 16028 massage chair. The Human Touch ZeroG 2.0 is the next massage chair to make the list. Most massage chairs often look more like a massage chair then a piece of furniture. This is where the Human Touch Immersion 2.0 comes in. It looks like a piece of furniture, but it is still capable of delivering a nice therapeutic massage. At first, it blends in with your living room setting, but after hitting a couple buttons, it transforms into a massaging machine. The ottoman flips out and provides a great leg and calf massage. If you are in the market for a new massage chair, and need one to blend into your living room setting, then give the Human Touch Immersion 2.0 a look. Here a list of our best mid-priced massage chairs of 2014. These massage chairs are a step-up from our best for the budget list, and are from reputable brands, offer good warranties, and have additional features. These are: deeper massage rollers, updated massage programs, more sophisticated stretch features, music players, and chromotherapy lighting. These massage chairs generally have more shoulder room, and fit larger individuals. The best massage chairs that are mid priced are perfect for anyone wanting more out of their massage chair. If you’re looking for great deep tissue massage, then you definitely want to stop and check out the Infinity IT-8500 massage chair.This massage chair is one of the best deep tissue massage chairs for under $4,000, and is known for their strong roller technology. The IT-8500 uses an S-Track design, which allows the rollers to provide consistent pressure along your entire back, massaging all the right spots. In addition to the deep massage, the IT-8500 has one of the most comprehensive full body stretching programs, which stretches and realigns your spine. Also, if you’re on your feet all day, the Infinity IT-8500 also has some of the best foot rollers. It uses a 3 roller kneading system, which feels amazing if you have sore feet. Some additional features include: inversion therapy, which is basically a 180 degree recline, as well as a music system with speakers, and waist sway in the hip area, which is great for anyone who has lower back pain. If you’re looking for a great quality massage chair that provides a nice deep massage, and can really massage out all those aches and pains, then look no further then the Infinity IT-8500. Make sure to check out our full Infinity IT-8500 massage chair review. 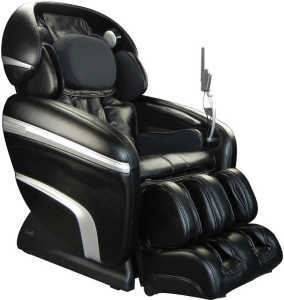 The next massage chair to make the list is the Osaki OS-7200CR. It is built with the same DNA, as the OS-4000T, but with some nice upgrades. There is more shoulder room, so it can fit larger users, and it has better body scan sensors that detect your body’s curvature more accurately. This allows it to apply a deeper massage in between the shoulders. Some other features include: chromotherapy lights on the side to lighten the mood, and speakers so you can play your favorite music. 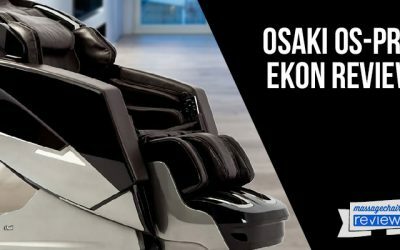 The Osaki OS-7200CR massage chair is a great buy especially if you’re looking at the OS-4000T, but would like a chair with a little some more features and a deeper massage. Here is the Best Massage Chairs for 2014. These have the best technology and features that you can get in a massage chair. These do come with a hefty price tag, but are worth every extra penny. The best massage chairs of 2014 are going to be the best quality chairs, from the best known brands, with the best warranties around. These will all have great body scan and roller technology, and have all the bells and whistles. If you truly want the best of the best, then look no further then the massage chairs below. 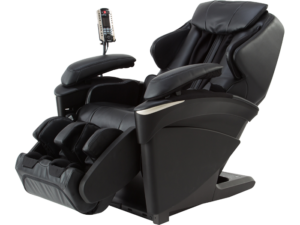 The Osaki OS-3D Pro Dreamer massage chair is one of our favorites. It is definitely worthy of being one of the best massage chairs on the market right now. 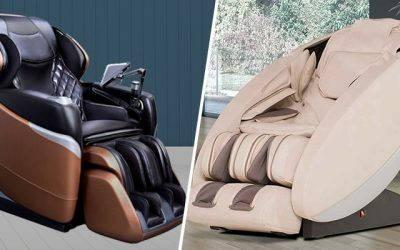 The Dreamer is designed really similar to the OS-7200CR, in terms of size and comfort, but it is the roller technology that makes this massage chair special. The Dreamer has 3D roller technology which allows it to add additional adjustments, and apply a much deeper massage then your standard 2D roller. On the other hand, the rollers can retract and apply a lighter massage, which is great for multiple users. The Dreamer also has additional intensity and strength setting allowing you to customize your massage even further. 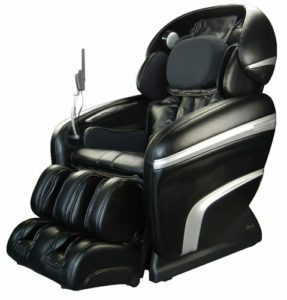 The Osaki OS-3D Pro Dreamer massage chair is probable one of the best deals on the market right now. If you want a massage chair with the combination of 3D roller technology, and zero gravity recline, then this is definitely the massage chair for you. 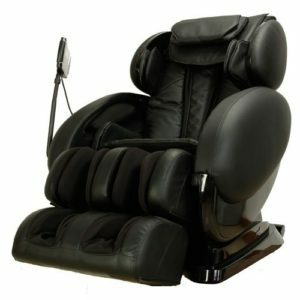 The Infinity Iyashi massage chair is one of our favorite lower back/body massage chairs on the market right now. It has a couple unique features which really help the Iyahsi standout from the competition. It has a 49” roller stroke on a unique “L” track design that allows the rollers to massage you from your neck all the way down to your glutes, which is great for lower body relief. The Infinty Iyahsi also has space saving technology, that allows it to go into a full recline just 3 inches from the wall! 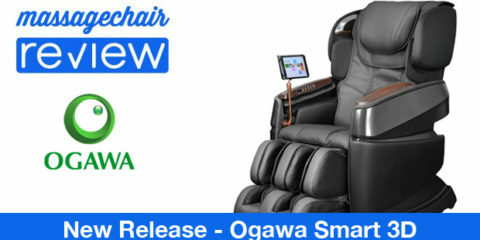 Some additional features that make the Iyashi really stand out are: the deep kneading foot rollers (Infinity has the best on the market), Bluetooth technology, which allows you to play music wirelessly through its speakers, and an android app that allows you to control your massage chair from your phone. 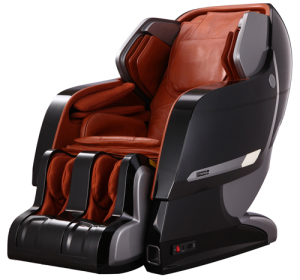 The Infinity Iyashi massage chair definitely stands out from the rest. From the futuristic design, to its innovative features, this is a truly a chair for someone looking for the best in technology, and lower back and body relief. 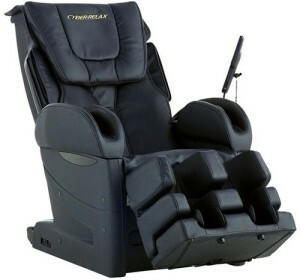 Make sure to check out our break down of the Infinity Iyashi massage chair. The Panasonic EP-MA73 massage chair is currently one of the hottest massage chairs on the market. Known for its proprietary Japanese designed technology, the EP-MA73 delivers one of the most humanistic massages on the market. It has one of best 3D roller mechanisms that we have ever used, and it delivers one of the most accurate deep tissue massages around. The Panasonic EP-MA73 massage chair was just released, with some cool new features which are: duel heat technology, which is heat in the roller and soles of your feet, upgraded kneading airbags, and a neck stretch feature. Some other impressive features are: 4 unique stretching features, a full body air compression system, custom program memory capabilities, and a rotatable ottoman that flips and lets the chair double as a recliner. The EP-MA73 is one of the best massage chairs on the market, and is perfect for someone who wants a deep soothing massage. The Panasonic EP-MA73 massage chair focuses truly on the massage therapy, and does not have features like zero gravity, music capabilities, or chromotherapy. But, if those features are not a big deal to you, and you want the best in massage technology, then the Panasonic EP-MA73 it for you. Make sure to check out the full features of the Panasonic EP-MA73 massage chair. The Fujiiryoki EC-3800 massage chair is one of the best selling massage chairs in all of Japan, and is known for their advanced technology. 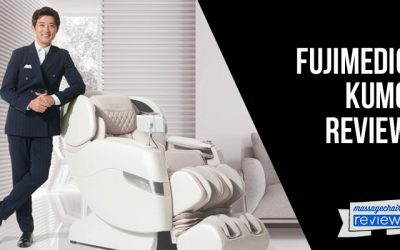 Fujiiryoki is the FIRST massage chair manufacturer, and the inventor of the robotic massage chair, so they know a little thing or two about them. The EC-3800 shines as one of the most innovatively designed massage chairs on the market today. 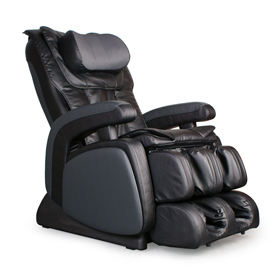 It uses a 4D proprietary two-head roller system that is able to deliver over 28 different massage techniques, which is the most out of any massage chair today. The 4D roller allows for automatic speed adjustments, which creates fluid movements, making the massage feel more humanistic. 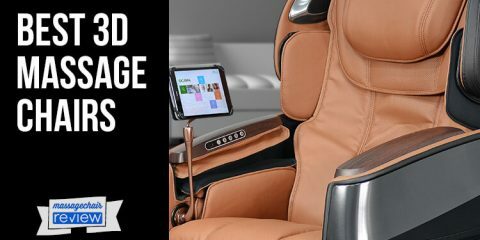 The Fujiiryoki EC-3800 massage chair also is one of the most customizable massage chairs, and allows the user to adjust the intensity and strength for both the airbags and rollers. If you are looking for one of the best quality and designed massage chairs on the market, that will deliver a medical quality massage for years to come, then look no further than the Fujiiryoki EC-3800 massage chair. 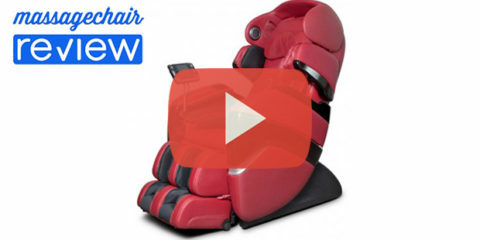 Make sure to check out video of the Fujiiryoki EC-3800 massage chair. That brings our Best Massage Chair of 2014 list to an end. We hope this information will help point you in a good direction and simplify your search for the right massage chair. If you are buying a massage chair this holiday season, make sure to do your research early and purchase your massage chair early. It takes time to ship and to setup your massage chair. Supplies are limited and some manufacturers sold out on some of the top selling massage chairs. 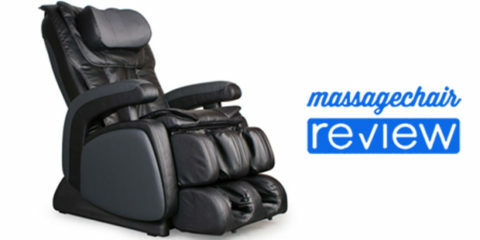 Make sure to check out our preferred partners, The Massage Chair Experts, over at Emassagechair.com.